 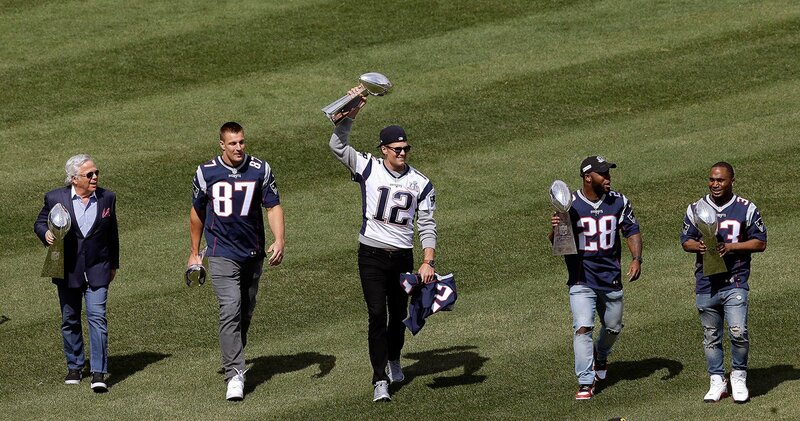 New England Patriots owner Robert Kraft, and players Rob Gronkowski, Tom Brady, James White and Dion Lewis display the team's five Super Bowl trophies before the Red Sox opening day game. 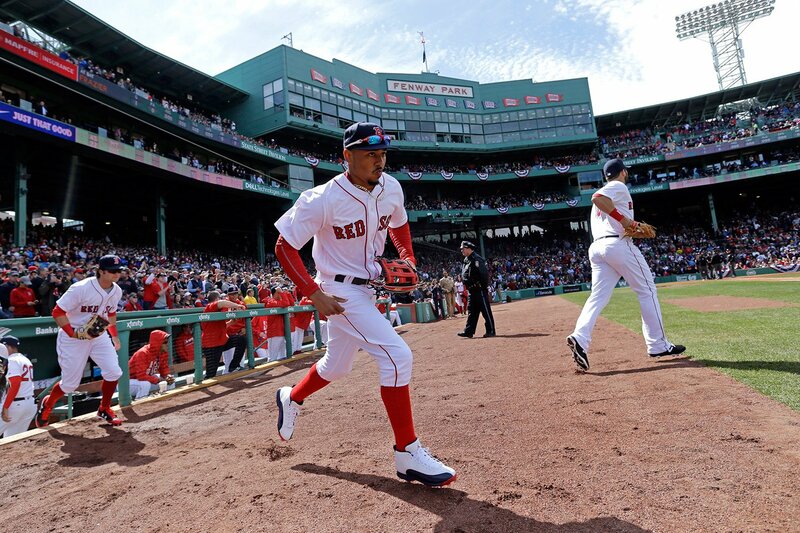 Boston Red Sox players including Mookie Betts, middle, take the field for the start of their baseball home opener against the Pittsburgh Pirates. 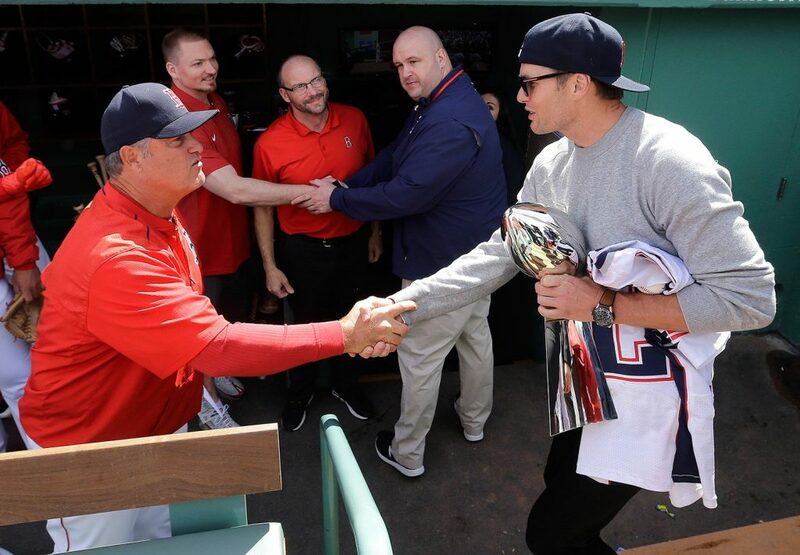 Patriots quarterback Tom Brady, right, greets Boston Red Sox manager John Farrell in the dugout. 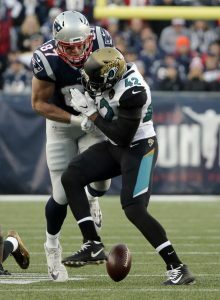 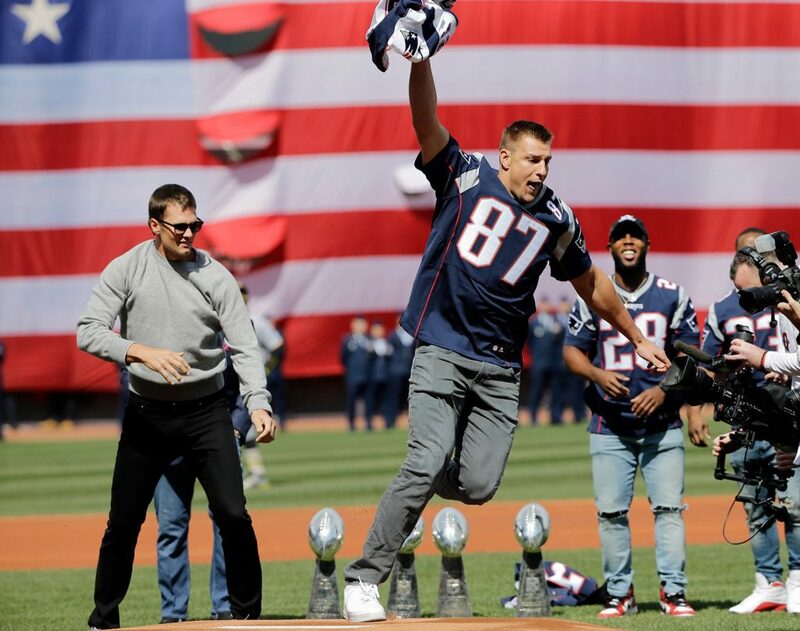 Patriots tight end Rob Gronkowski (87) runs with quarterback Tom Brady's, far left, recovered Super Bowl jersey as they joke around during Boston Red Sox home opening day ceremonies at Fenway Park. 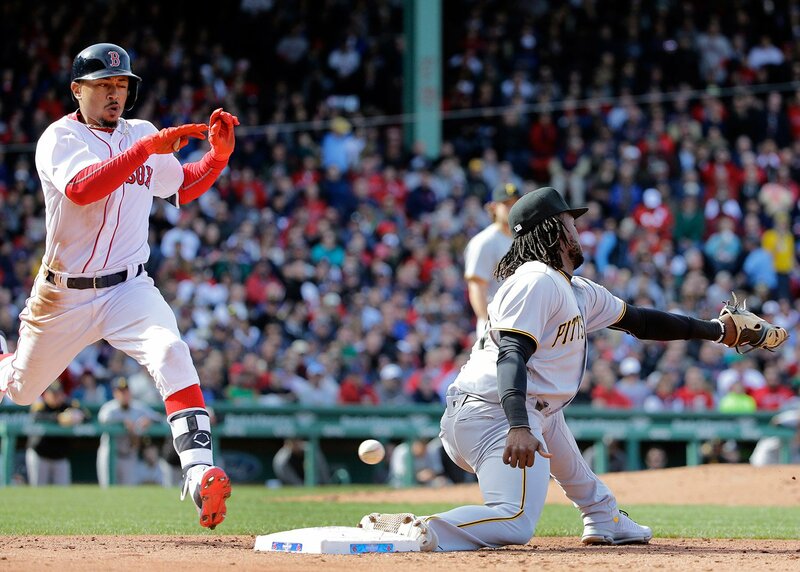 Mookie Betts, left, runs to first with a single and takes second base as Pittsburgh Pirates first baseman Josh Bell can't catch a throwing error by shortstop Jordy Mercer, not pictured, in the fifth inning. 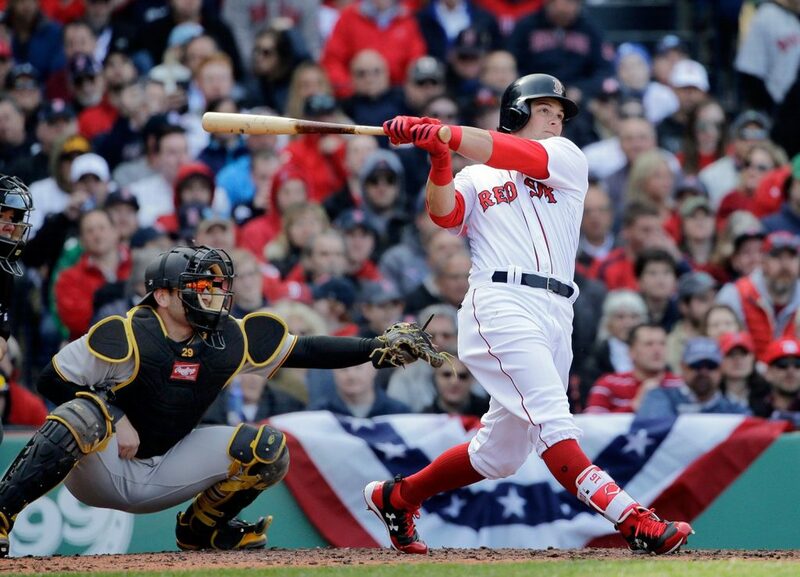 Boston's Andrew Benintendi hits a three-run homer in front of Pittsburgh Pirates catcher Francisco Cervelli (29) during the fifth inning. 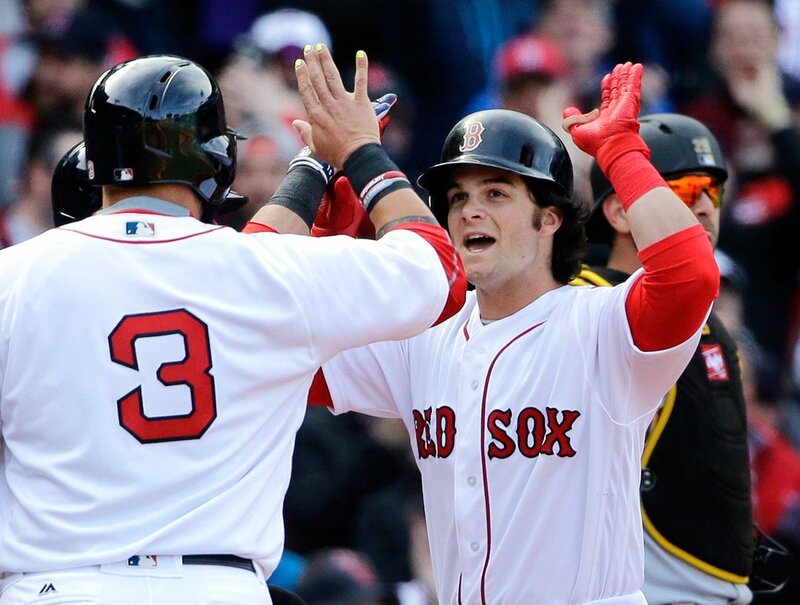 Andrew Benintendi celebrates his three-run homer with teammate Sandy Leon (3) in the fifth inning on Opening Day at Fenway Park. 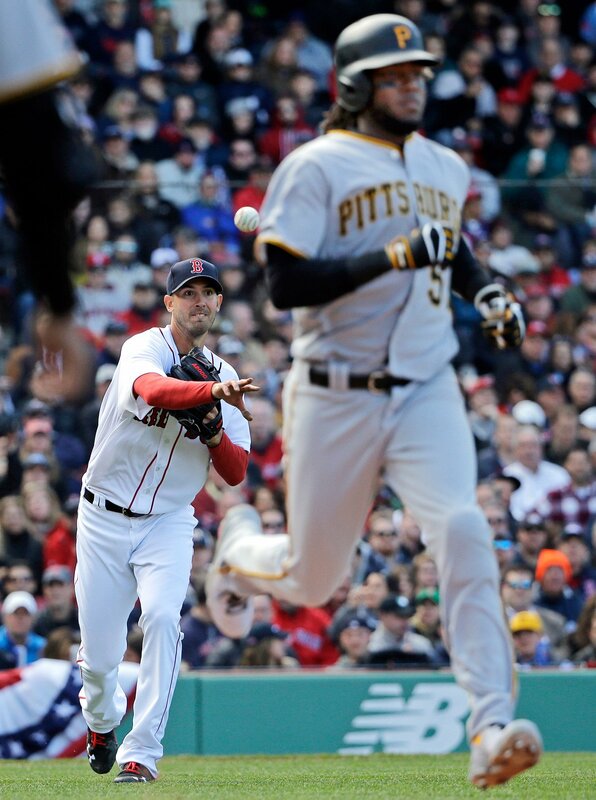 Boston Red Sox starting pitcher Rick Porcello throws to first to get Pittsburgh Pirates' Josh Bell on a ground out in the seventh inning. 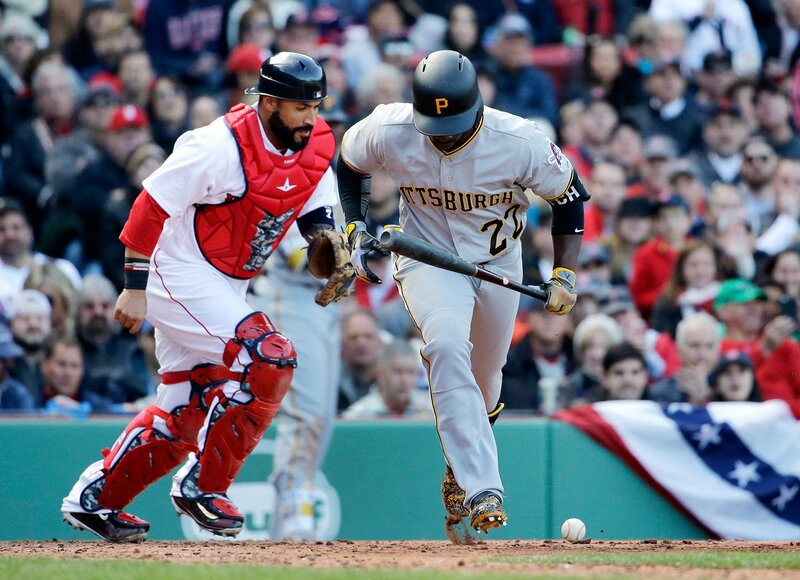 Red Sox catcher Sandy Leon moves to recover a third strike dropped ball to get Pittsburgh Pirates' Andrew McCutchen out during the seventh inning. 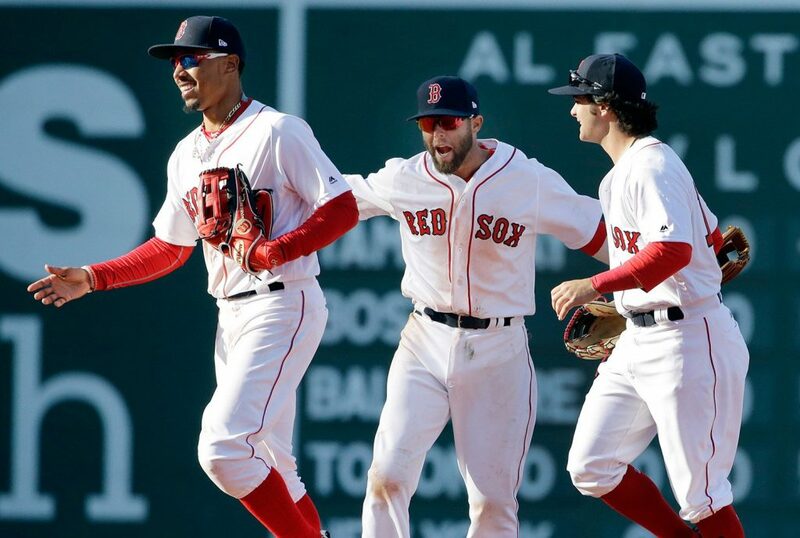 Mookie Betts, Dustin Pedroia and Andrew Benintendi celebrate their 5-3 win over Pittsburgh.